The first of the two diets we are going to look into is the Carnivore. A Carnivore diet dates back to prehistoric times when the only foods we could eat were those we could hunt. Therefore for a Carnivore diet you would mainly consume meat such as beef, pork, chicken, turkey, fish etc. The idea of this lifestyle choice is to only eat meat which means that you will cut out all vegetables and savoury options too at meal times. However, as these selections could be quite limiting, some choose to include additional ingredients produced by animals such as milk, butter and eggs. By choosing to cut out all of the carbohydrates and refined sugars from your diet, there are a few benefits to doing this. You will decrease your amount of dental cavities accumulated and lower your risk of developing hypertension, atherosclerosis and diabetes. And you may also find that you will be able to lose weight easier as you are not bloating from the consumptions of carbs. However, the downside to taking carbs out of the equation is that you will find that your sleep will become interrupted through restlessness and insomnia. This is because your brain requires glucose to function properly during your slumber, and if you are not giving your body the right foods to create this then it will not be able to function efficiently. Although by choosing this diet you are still able to reap benefits from the proteins of the meat, you are unfortunately limiting your body’s intake of other food groups. 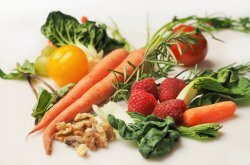 Therefore, as a result of this you are lacking fibre in your diet which means your body will struggle to add bulk to your excretion which means you will suffer from issues such as constipation and haemorrhoids. Now we have looked into the Carnivore diet, we are now going to explore the opposite lifestyle choice called Veganism. This type of diet is where you only consume food substances which have not been produced using any by-product of meat or animals. Therefore, you would cut out meat, eggs, milk, butter and also foods like cake, which contain these ingredients are off the menu. However, you can find brilliant substitutes in your local supermarket. For example cow’s milk can be replaced with coconut, hazelnut, almond or soya milk. And butter can be swapped with butters made from almond and other dairy free ingredients. One of the main concerns of taking dairy and meat out of your diet would be that your body would struggle to receive calcium and proteins. However, nuts are a great source of protein and you can also purchase meat substitutes such as Quorn or Tofu which contains all of the goodness which you would find in the meat, just without having to consume an animal. In fact most meat substitutes are produced from mushrooms and other member of the fungi family. However, you would need to check the packaging of some meat substitutes as some are produced using non-vegan substances. As Veganism is growing excessively in popularity you will find that most restaurants will now cater for your needs with an alternate dish. The conscientious choice to give up both meat and dairy is ethical in a way that no animal comes into harm or disarray during the process of creating Vegan meals. Therefore, you will find a sense of enlightenment from starting your journey with this diet. And also by taking out meat and dairy you will find that weight loss will come naturally, some may experience bloat at the beginning due to the excess intake of fibre via nuts and oats. But if you choose not to use Vegan friendly dairy and meat substitutes in your Vegan diet you may begin to feel lethargic as you are not receiving a decent amount of nutrients such as the protein, calcium and iron from the alternative substances. Another risk to Veganism would be if you are pregnant or decide to breastfeed after you have given birth. This is because you would require a healthy level of vitamins and minerals to ensure that their baby can develop healthily. And also if you are choosing to bring your child up with a Vegan diet, you would need to make sure that they will have a range of energy and vitamin rich foods which will help them grow. 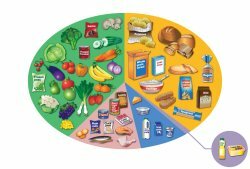 As we have explored the two different diet trends at the moment, we need to address the crucial significance of having a balanced diet to remain healthy. If you choose to adopt any of these methods of eating you will notably have some draw backs and this is because your body needs a balance of all the food groups to function properly. Therefore, when implementing these aspects into your diet you would need to look for other methods of ensuring sugars, calcium, protein, carbs, vitamins and minerals etc are incorporated into your meals to remain at an optimum level of health. As a result of this is it important to research and in some cases enlist the help of a dietician, nutritionist or doctor when making these decisions to switch up your eating. This is because some certain conditions require a significant amount of a certain food group for you to remain healthy. One example condition where you would need to speak to a doctor beforehand would be if you have diabetes. As this condition involves the addition of insulin into your body to help your pancreas process sugars properly, it is vital that you have your diet checked with a healthcare professional. Some studies suggest that a Vegan lifestyle could actually reduce the effects of type 2 diabetes as it replaces the saturated animal fats with monosaturated fats. The difference between these is that animal saturated fats found in meat and dairy can actually contribute to your body’s immunity to insulin. However, if you have a B12 deficiency you may struggle with the Vegan diet in particular. 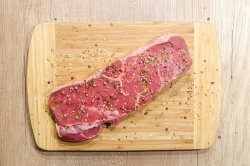 This vitamin comes from meat which would be able to reduce your symptoms if a carnivore diet was adapted to your needs. But as long as you consume products which are rich in B12 such as cereals, soya drinks and yeast extract this diet could be suitable for you too. It is still worth checking with the doctor though. Another condition which would require a doctor’s consultation would be any heart related problems. This is because by consuming a fully plant based diet may actually increase your risk of heart disease. An unhealthy plant based diet would include foods such as potatoes, refined grains and sweets, however if you opt for what is considered to be a healthy plant based diet it is more beneficial. This type of diet is where you consume wholegrains, fruits, vegetables and healthy fats which are less likely to cause any heart related side effects. And in reverse of this, a purely meat based diet would not be beneficial for anyone with heart issues as red meat in particular has been known to contribute to heart problems. Have You Tried Any of These Lifestyles? Throughout this article we have taken in depths look into the carnivore lifestyle VS veganism. Although both have positive effects, we must still take into consideration how beneficial it is to have a balanced healthy diet. Therefore, if you have recently adopted any of these eating habits, we want you to get in touch. We want to know your experience with a vegan or carnivore diet, so find us over on social media now! You can also shop our range of exercise clothing and equipment over at Sports Fitness to help you on your journey to a healthier lifestyle!